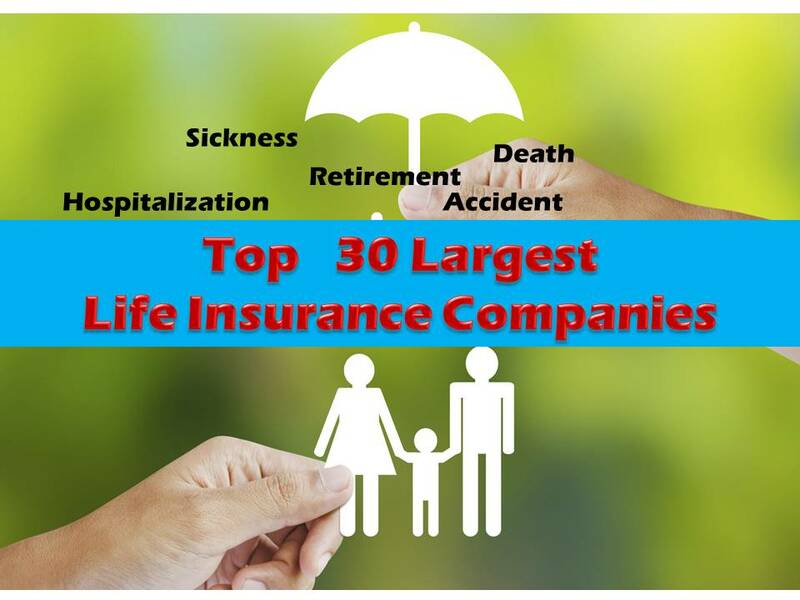 Are you looking for an insurance company where you can buy a life insurance policy? When choosing an insurance company to buy you life insurance policy, it is important to check the financial standing of the company itself. Would the company be able to pay for the benefits as stated in your insurance policy? Or their financial standing is already compromised that you might end up not getting the benefits as stated in your insurance policy. By checking the "net worth" of the insurance company, you can at least have an idea if they have enough assets, to cover their liabilities. It also means, there is higher probability that they can pay for the claims of their insurance. policy holders. No one can really predict the future or expect things to be hassle or problem free. But we all want to have a little bit of assurance in case of contingencies. For example, a father who is the provider of the family hopes that in case something happens to him, his family can still manage well financially, pay for schooling, house rent, and buy their necessity. This is the reason why, it is best for someone to get life insurance that is affordable and at the same time reliable. We say reliable life insurance, because even insurance companies can go bankrupt. And before you claim your insurance, there is a chance they closed or filed bankruptcy. In the Philippine government, the most common and affordable life insurance of most Filipinos is SSS. Still, not everyone has SSS. In fact, many SSS members right now fret that because of the increase of pension benefits of senior citizens or retired SSS pensioners, there might not be enough to pay their benefits and life insurance in their retirement age. 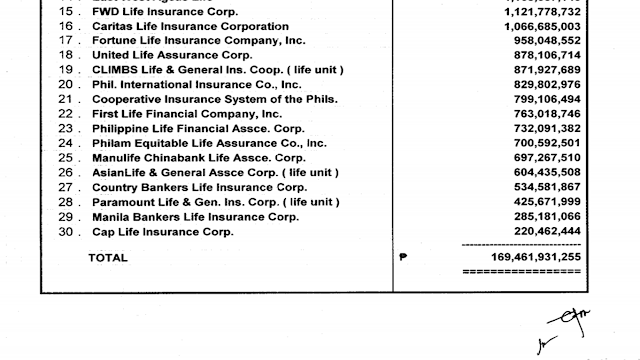 The Sun Life of Canada ( Philippines ), lnc. The United Coconut Planters Life Assce. Corp.
BPI Philam Life Assurance Gorp., lnc. Philippine AXA Life lnsurance. Corp.
Pru Life lnsurance Corp. of U.K. Beneficial Life lnsurance Co., lnc. East West Ageas Life FWD Life lnsurance Corp.
Phil. lnternational lnsurance Co., lnc. Gooperative lnsurance System of the Fhils. Philippine Life Financial Assce. Corp.
Philam Equitable Life Assurance Co., lnc. Corntry Bankers Life lnsurance Corp.
Manila Bankers Life lnsurance Corp.
Disclaimer: Thoughtskoto is not affiliated to any of these insurance companies. This post is published for information purposes only. 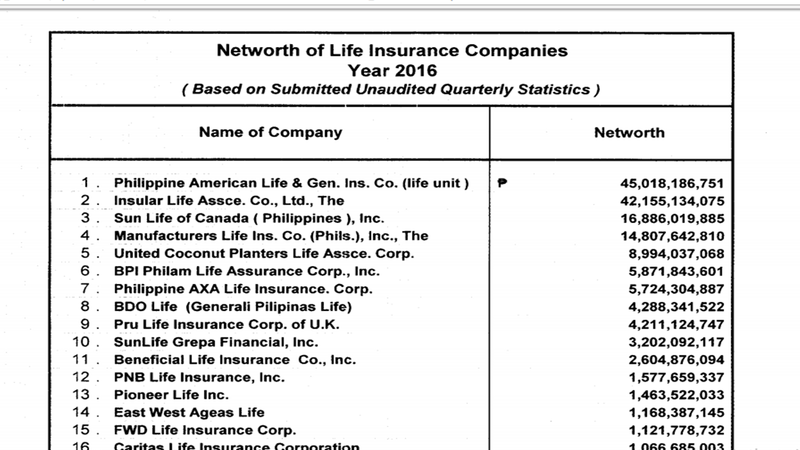 Check below for the reported net worth of each insurance company.